Last friday, I managed to catch another fish again. 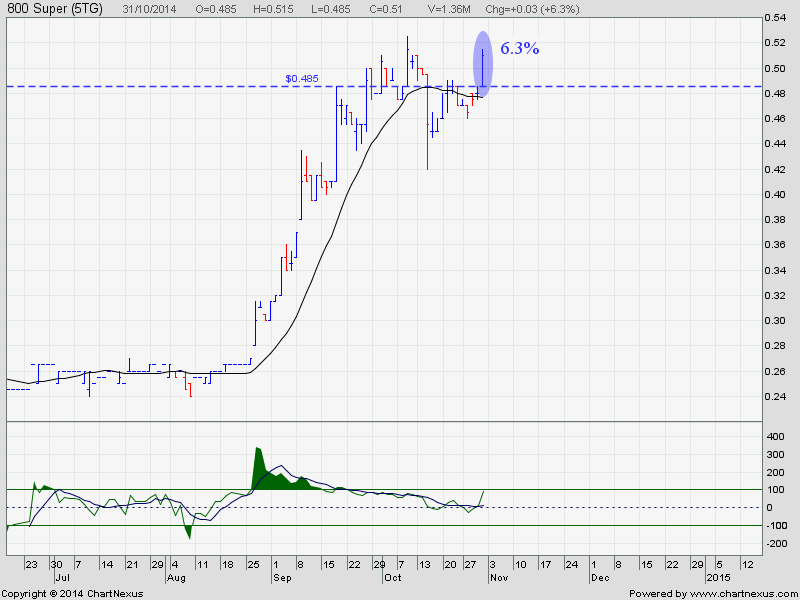 800 Super which garnered me a profit of 6.3%. With that, I easily obtained Four Good Trade a Month to Replace my Income regardless of any market condition. Every month, the market will pay for all my expenses, bill, insurance premium, holiday, etc. Every year, it will also contribute to my pension fund. As long as the stock market is around , Life is Great for me ! 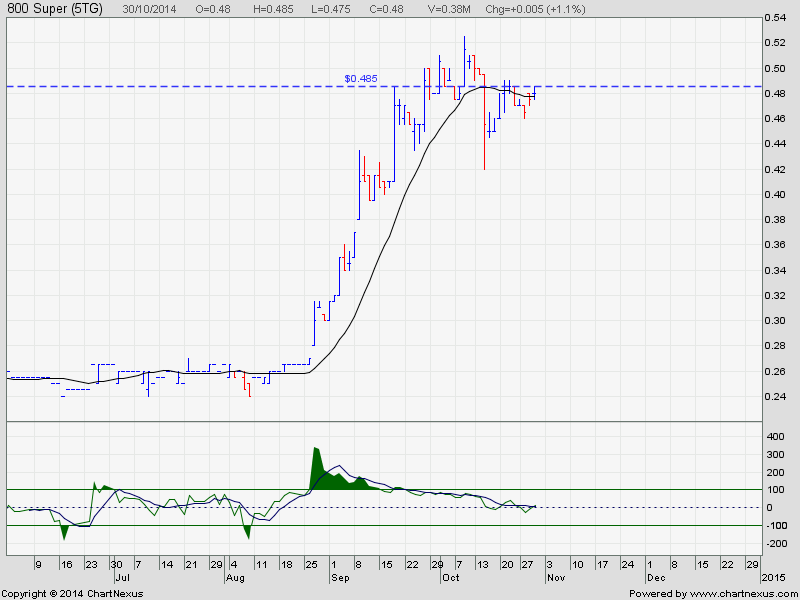 Today, there is an entry signal for this stock.